The haircuts for long hairstyles can include a number of variations to add style and accentuate your individuality. The classic long hairstyle does not have to end up in one “look” or “feel”. Accents– adding splashes of hair color can be very funky for younger women. Strips of color such as hot pink and other distinctive, vibrant colors will set you apart from the crowd. Highlights – for the professional or mature woman, highlights can add a subtle spark, adding a special touch to any haircut you may have. 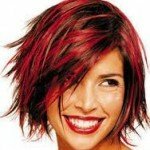 Colors – hair coloring can make a bold statement and prepare you for the coming season. Fall is a popular (and perfect) time for darker, inviting looks. Warm reds and rich browns are perfect for the holiday season and winter. Heavy Bangs – this is an option with a woman’s haircut that is nearly the same as adding an accessory to your clothing. Heavy bangs are a strong, unmistakable and almost ‘in-your-face’ fashion feature. They are mainstream this fall and frame your face perfectly. 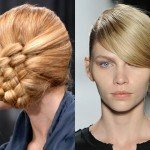 Other Ideas – long hairstyles for women allow creativity with the way it is presented. 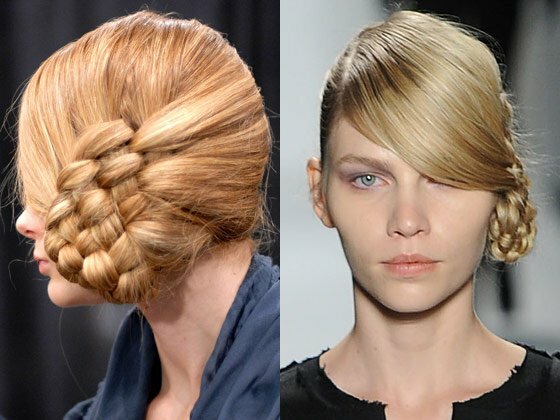 Side braids and side ponytails are just a couple of hairstyle ideas. Contact any one of our experienced stylists for more hair color ideas and any type of hair coloring or haircut for women. We have expansive hair color charts for reference, giving you a chance to see every option available to you!